What animals is the netting to keep in? Or what predators is the netting to keep out? Does it have a gate as standard (if it doesn't then how do you get in/out)? 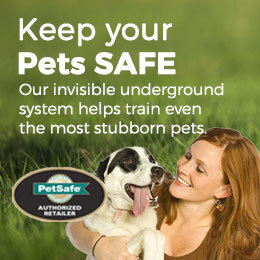 All of these questions are crucial if you want a solution that will protect your animals or land, which will last and which is hassle free. 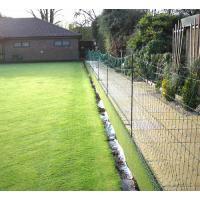 At Electric Fencing Direct we supply a full range of electric netting for all uses. 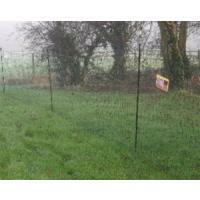 From entry level value nets through to the highest spec chicken nets, electric netting for rabbits, deer, badgers etc. 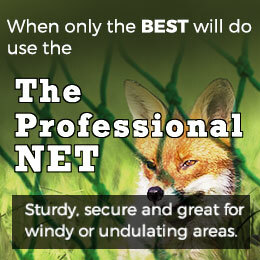 We can help you select the right net for your needs and at the right price. All our nets are of the highest quality and come with posts, guide ropes, pegs, warning signs and repair kits. With electric netting it is the small things that make the difference. As the old saying goes "you get what you pay for"!! Remember you can add extras to your net - perhaps some sturdy corner posts or a 'hot gate' to allow easy access to a poultry enclosure - all these are available in our online shop. REMEMBER HEIGHT, MESH SIZE, POST STRENGTH and GATES ARE THE KEYS TO HASSLE FREE AND LOW MAINTENANCE NETTING. 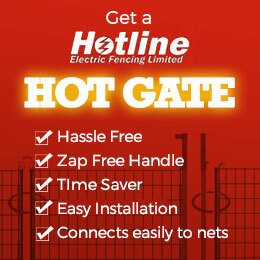 At Electric Fencing Direct we have two categories of poultry netting; Premium Fox Busting Netting and Standard Netting. 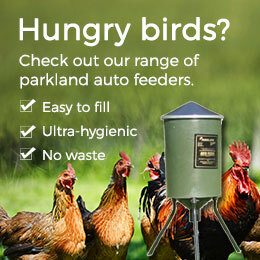 The strongest, HIGHEST, SAFEST and most SECURE poultry nets on the market. 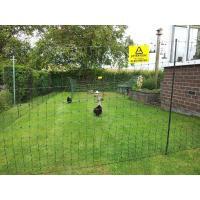 Our Professional and Premium Fox Busting Poultry Netting is unique to Electric Fencing Direct. Designed with heavy duty extra close mesh netting (7.5cm sq) or standard mesh size (15cm by 7.5cm), double pronged posts for extra stability (Professional has extra strong posts through out and 5 corner posts), a built in gate and standing 1.22m high by either 25m, 40m or 50m in length these nets all but guarantee to keep all predators out and your chickens safe. There simply are no other nets like them. Our standard netting is again one of our best sellers and gives you great value. These nets are 1.1m high by 25m or 50m in length and have close mesh size (7.5cm sq). Also with a built in gate, double pronged end posts (single pronged post in between) and a warning sign. We have two heights of sheep or goat netting available. Please ensure you have a powerful energiser when using electric fencing for sheep - a sheep with a full fleece is very well insulated. 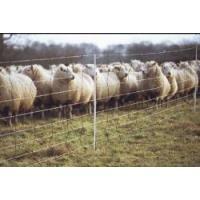 Super Sheep or Goat Netting - This net is 1.05m tall, includes 14 posts and has 9 electrified polywire strands. 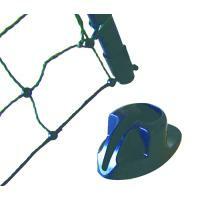 A very robust net which is easy to erect and install and will keepyour sheep or goats in. Dark orange in colour. Not recommended for sheep or goats with horns. Standard Sheep Netting - This net is 0.85m tall, includes 14 posts and has 9 electrified polywire strands. Very easy to erect and install and move around. Dark orange in colour. Not recommended for sheep or goats with horns. Rabbit netting is generally used for keeping rabbits out of crops, gardens and vegetable patches. However these nets can also be used for keeping pet rabbits contained! Super Rabbit or Badger Netting - 50m x 70cm in green. This net is the top of the range net. It includes 14 posts and has 9 electrified polywire strands. Easy to erect and install. 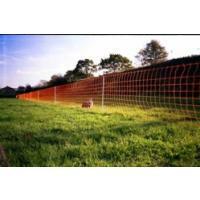 Standard Rabbit or Badger Netting - 50m x 50cm in orange. This net is the standard net and is 20cm lower than the Super net. It includes 14 posts and has 7 electrified polywire strands. Easy to erect and install. Standing 1.22m high by 50m in length this net all but guarantees to keep all predators out and keep your land protected. This net comes with 14 posts, guide ropes, bottom line pegs plus warning sign. To get more details on our netting kits please download the relevant brochure (poultry, sheep, rabbit, badger, deer) from our brochure page - these guides tell you all you need to know about our electric netting and what to look out for! (i.e. cheap imitations!!) or to see our netting kits in our shop click here. Electric Netting can also be used to protect sporting venues such as bowling greens, football pitches and parts of golf courses.